This illustration shows what appears to be a superheater for a Lancashire boiler, this would have been fitted to the flue gas duct at the back of the boiler. Its duty was to extract heat from the waste gasses, and transfer this heat to saturated steam passing from the boiler to the steam range or to an engine. 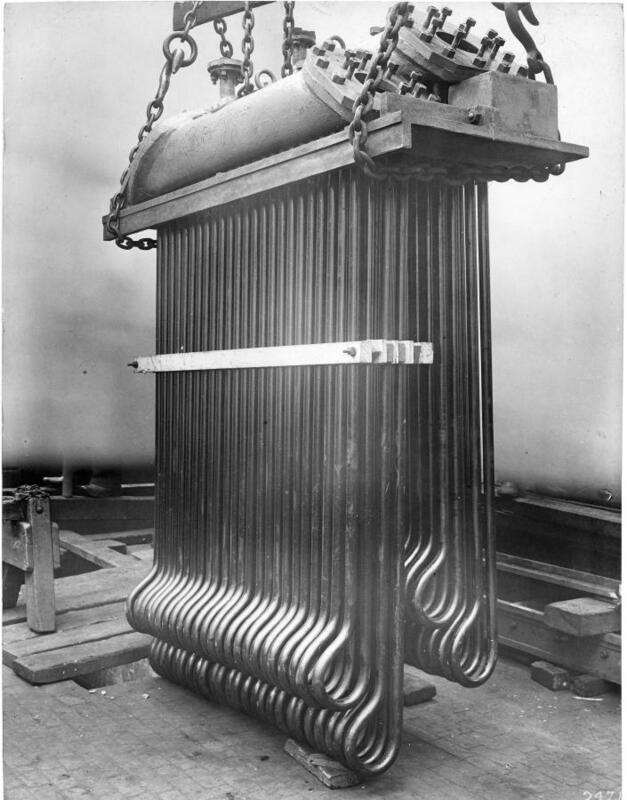 This raised the overall thermal efficiency of the plant, and would also prevent damage from slugs of condensate by ensuring that the saturated steam was dry and not wet.This was of particular importance if the steam was supplied to a steam turbine.